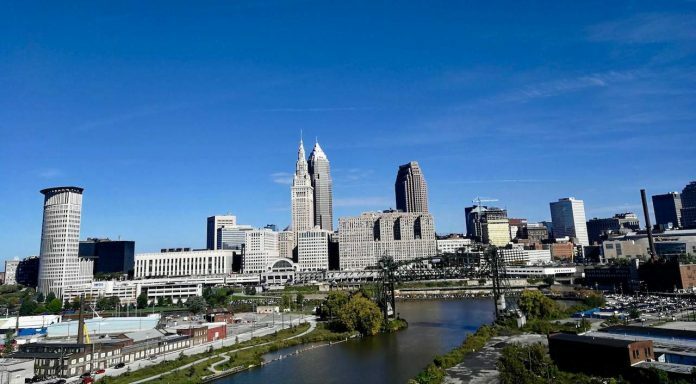 Cleveland has some excellent museums and is the ideal place to watch a sports game, drink craft beer and enjoy the charming Midwestern hospitality. Cleveland in Ohio, located on the shores of Lake Eyrie, made its name as a booming industrial centre for the steel and railroad industries. The winding Cuyahoga River runs through the city and you can still see the vast steel bridges that connect its east and west sides. Much of the city has been regenerated after it suffered some disastrous setbacks in the 20th century, including the infamous river fires that helped spur the environmental movement in the US. Crumbling warehouses have been transformed into breweries, bars and restaurants. Elsewhere, the grand old banks in Downtown Cleveland, long left empty and abandoned, have been converted into hotels and nightclubs. 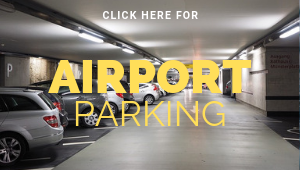 So, book a room in Downtown Cleveland and make the most of what the city has to offer. 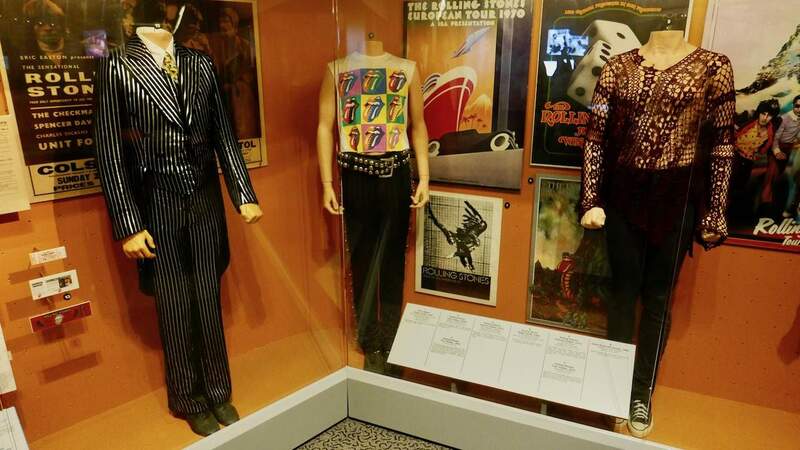 They say that the term “Rock & Roll” was coined by Cleveland DJ Alan Freed in the 1950s and you can find out more about this and other interesting facts at Rock & Roll Hall of Fame. It is housed in a fabulous glass pyramid near the lake and contains highlights about the origins of Rock & Roll and the lives of Elvis Presley, Blondie and the Beatles. Incredible displays of electric guitars and wacky outfits worn by David Bowie and Mick Jagger sit alongside the sparkly numbers favoured by Beyoncé and Taylor Swift. Once you have had your fill of rock memorabilia, head to Level Three and check out the hall of fame, where you can vote for the next inductees. Other cultural highlights can be found at University Circle – the location of several of Cleveland’s universities. This is where you will find the Cleveland Museum of Natural History. It has an impressive selection of dinosaur fossils and taxidermy as well as the newly opened interactive exhibition on biomechanics which is well worth a look. Outside, there is a small wildlife centre dedicated to rescue animals native to Ohio. You’ll see bald eagles, otters, snowy owls and even a bobcat named Bob. 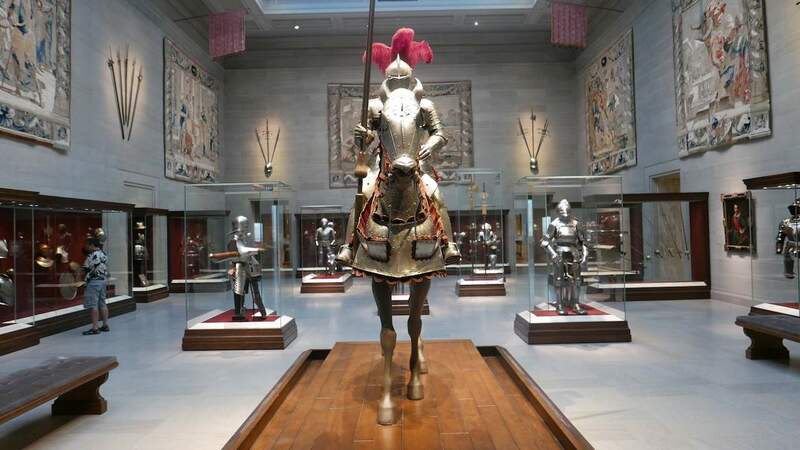 Nearby is the Cleveland Museum of Art, one of the few free museums in the city. It contains more than 45,000 works of art including paintings by Monet, Matisse and Warhol. Even the building itself is a masterpiece featuring a magnificent atrium. A fun way to see the city is by bike. Cleveland Bike Tours offer family friendly bike tours where you can explore the city and learn about its history. Alternatively take a short taxi ride to Cuyahoga National Park and enjoy a day’s hiking, biking or kayaking. The park is free to enter and there is an 87-mile canal towpath trail as well as pretty forests and dramatic waterfalls to explore. Playhouse Square in Downtown Cleveland is the second largest theatre district in the USA and puts on more than 1000 performances every year. Only a few decades ago everything was closed for business, but thanks to a grassroots effort the area has been regenerated and is one of the city’s greatest success stories. Performances range from West End Shows (usually at Conor Palace) to dance, comedy and children’s shows. 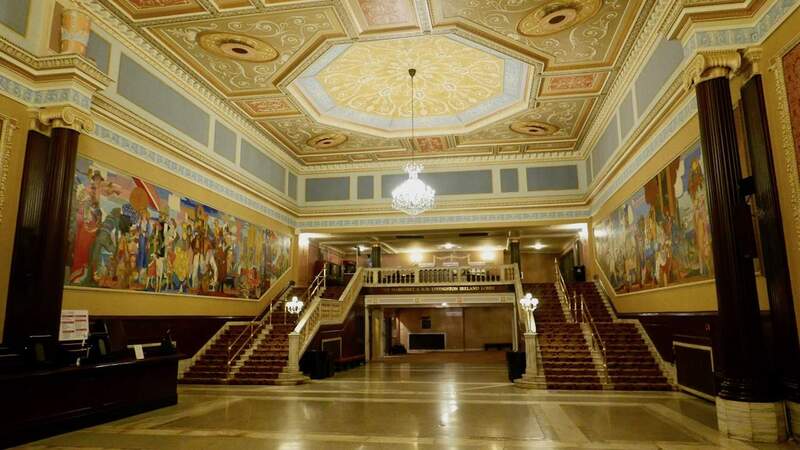 The KeyBank State Theatre has recently been returned to its full 1920s glory, including the restoration of four murals by American modernist painter, James Daugherty. Tickets for the full 2018-2019 season are now on sale – if there’s a show you really want to see then book in advance. Otherwise turn up and see what’s available. 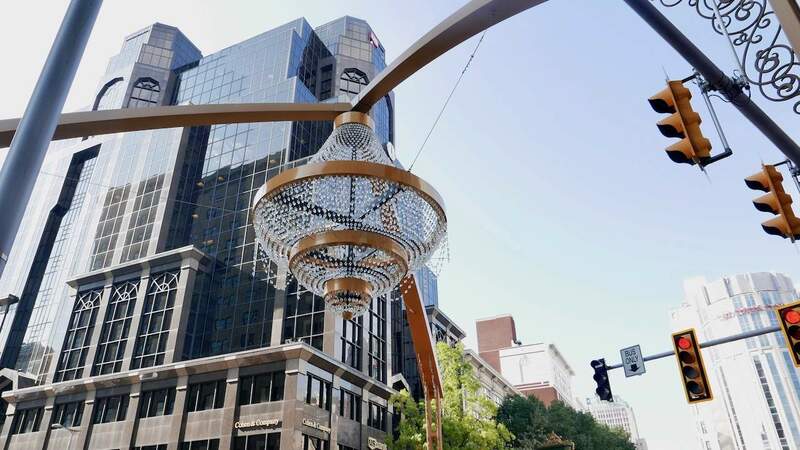 Make sure you stop to admire the 24ft high “GE Chandelier”, the world’s largest outdoor chandelier composed of 4,200 crystals. There are some lovely independent shops in Cleveland selling all sorts of trinkets and gifts. Head to Detroit-Shoreway for your shopping fix and make sure you stop by Hausfrau Record Shop and have a root through the dollar bin – I discovered such gems as David Bowie’s Ziggy Stardust and the original Star Wars soundtrack. If you get tired of shopping stop by Brewnuts for a maple bacon doughnut or Sweet Moses for an old fashioned malt milkshake. 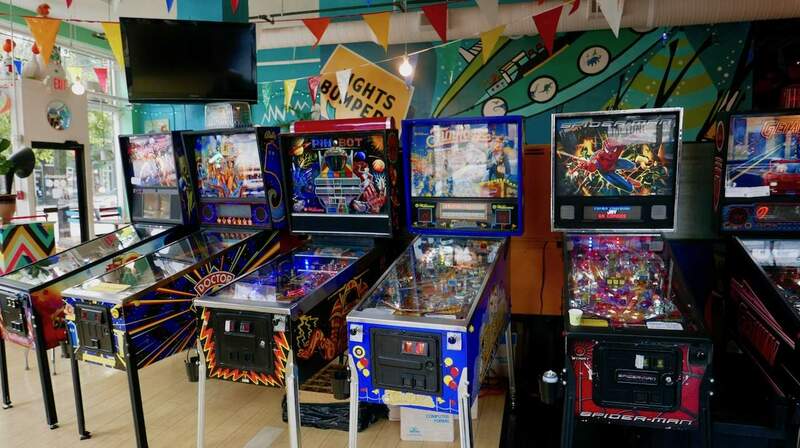 To complete the full retro experience spend some time in Superelectric Pinball Parlour and try your hand at the pinball machines while enjoying an ice cold beer. If you’re feeling fancy have a mosey in the shops at The Arcade Cleveland, a grand Victorian-era five-story arcade with glass ceiling spanning 300ft. Nearby is 5th Street Arcades where you can purchase a quirky gift or two from the likes of Cle Steampunk Shop or Cleveland in a Box. Comfort food is what the Clevelanders do best and every dish comes with a side of warm hospitality. If you’re in Downtown Cleveland head to East 4th Street and order a “Mr Beef” from Mabel’s BBQ: a hulk of a sandwich packed full of chopped brisket, shaved onions, pickles and mayo. Alternatively walk around the corner to Hodge’s and tuck into their fabulous crispy chicken sandwich served in a hot pretzel roll with side of tots (tiny hash browns). Cleveland also has some great upmarket restaurants, and I was particularly impressed with Fahrenheit in Tremont. Chef Rocco Whalen has put together an inspired menu of American comfort food with an Asian twist. 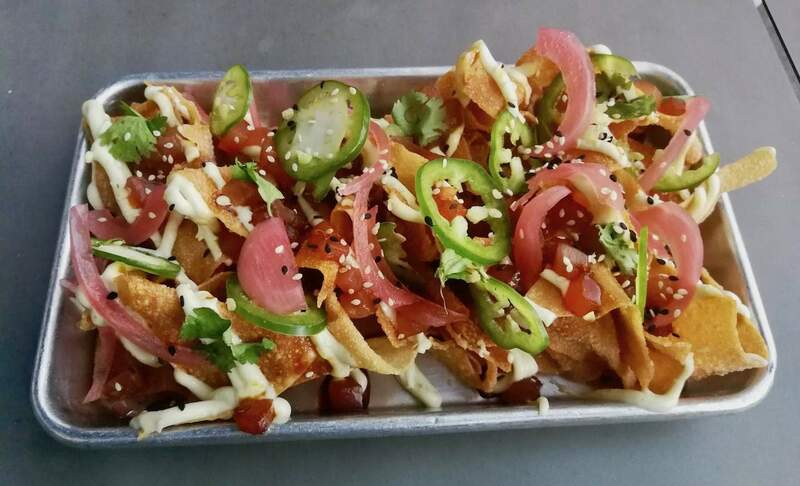 Our starter of Ahi Poke Nachos with citrus aioli was an absolute revelation. 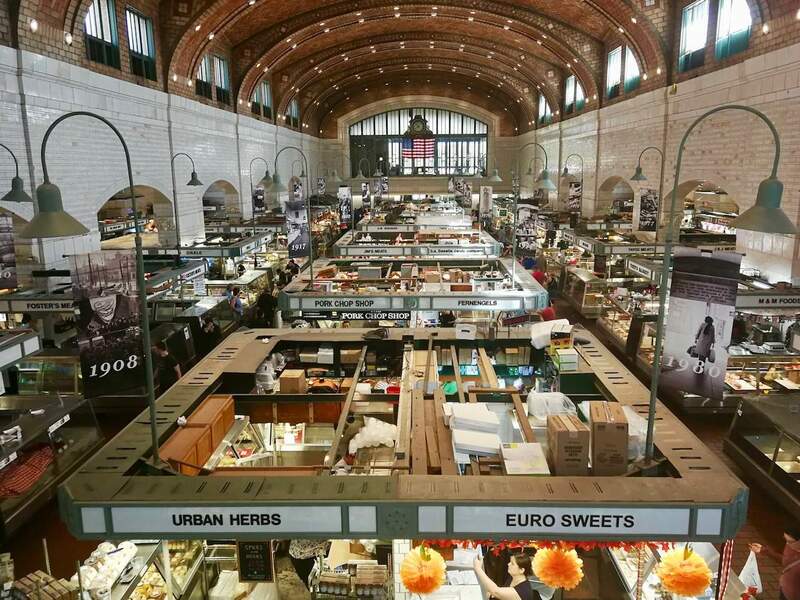 For lunch on the go, West Side Market on the corner of West 25th Street is the oldest indoor/outdoor market in Cleveland and is chock full of counters selling cheese, cured meat, sweets and pastries. You can also find a huge Polish and Slovenian expat community in Cleveland and you can purchase a pair of perogies (filled dumplings) at Johnny’s Hot Dog for just $2.50. Clevelanders love their sport so it will come as no surprise that they also love their beer. The craft beer scene is booming and the tourist office even offers a Brewery Passport where you earn stamps (and prizes) when you purchase a beer from one of 30 participating breweries. 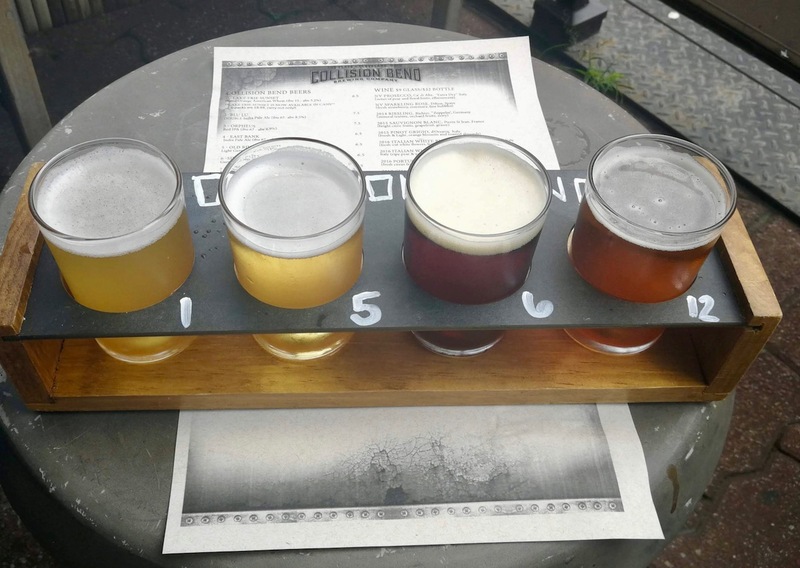 One such institution is the Collision Bend Brewery, which forms part of a recently redeveloped nightlife district on the banks of the Cuyahoga River called The Flats. The brewery is housed in the newly renovated Hausheer Building on Old River Road and all the beers are brewed on site. It also has a full-service restaurant offering such delights as Korean pork belly tacos and lamb tamales. The Holiday Inn Express in Downtown Cleveland is located in walking distance from many of Cleveland’s most popular attractions. 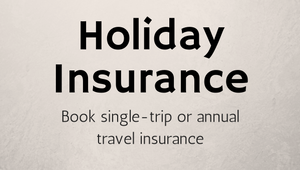 The rooms are large and comfortable and both the breakfast and WiFi are free of charge. Rooms start at $80 per night. Read our review of The Holiday Inn Express. If you’re travelling from the UK, Icelandair offer flights from London to Cleveland via Keflavík International Airport. Passengers are able to stopover in Iceland on their way to Cleveland for up to seven days at no extra fare price. The airline offers two classes of travel: A spacious Saga Premium with attentive service and Economy class with an impressive 32-inch seat pitch. For more information visit This Is Cleveland.